It’s so funny how personality traits, gifts and even interests can be passed down from mother to daughter. I remember being a little girl and seeing my mom make crafts, sew clothes and create art all around our house. At the time, I was just watching..but apparently I was also taking note. Twenty-Five years later, I took those note and added the title ‘Fashion Designer’ to my resumé and I could not have done it without my mommy..literally. With nothing but an idea in mind, my mom brought my ideas to life and 30/30 Yacht Couture was born. Although it was meant to be a special way to celebrate my 30th year of life, I am SO proud and excited that it’s also a way to celebrate Mother’s Day. You see, my mom has dreamt of designing clothes since high school and now that dream has manifested..through me. 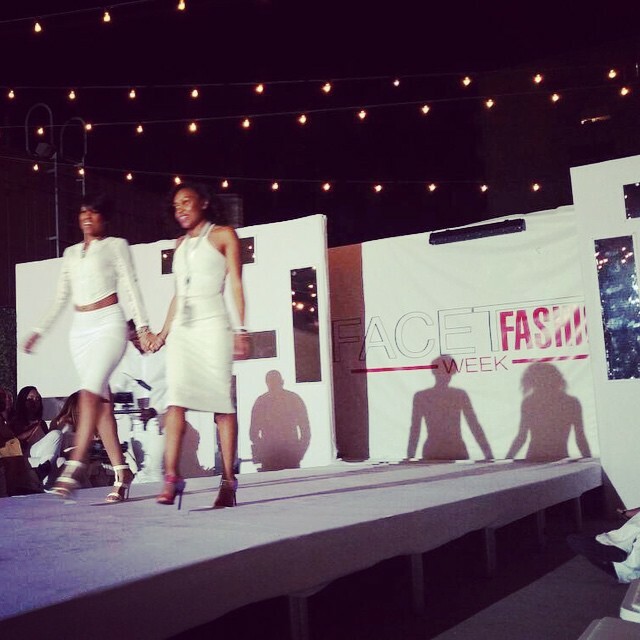 Not only is she now an official designer, our collection was featured in Hollywood at Facet Fashion Week and was also filmed for VH1. Only God knows what’s next, but I’m blessed to know that my mom will be there every step of the way. Although it took me way too long to realize how much of a blessing my mommy is, I’m so appreciative of her. So appreciative of our journey together and so excited about what God has in store! Mama we made it! Happy Mother’s Day.